In Hollywood, California, a drone operator was recently arrested after his drone was caught flying within feet of a Los Angeles Police Department (LAPD) helicopter. The event was incredibly ill timed as the helicopter was in mid-search for a suspect. A hobby camera drone operator was arrested in Hollywood late last month after flying his drone within 50 feet of an Los Angeles Police Department helicopter that was searching for a suspect. ABC7 reports that the incident occurred at around midnight on Friday, August 28. An LAPD chopper that was searching for a suspect was forced to take evasive action after a “drone swooped in within 50 feet” of it, say authorities. “This was the first time and most egregious time where it has actually came into our airspace in such close proximity,” LAPD Air Support Captain Al Lopez says. The close call sparked a new all-out manhunt for the pilot behind the drone. Officers eventually found the drone pilot in a Rite Aid parking lot, confiscated his DJI Inspire drone, and took him into custody. 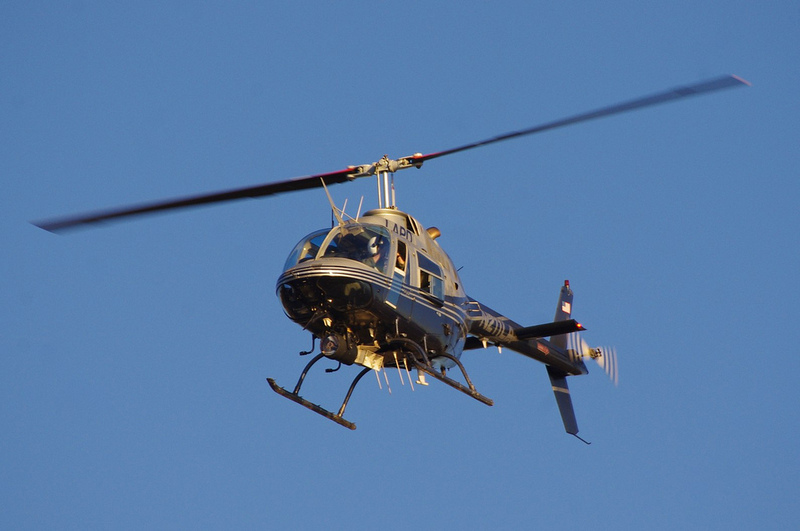 While you might be familiar with the potential damage of a drone and airplane collision, you might not be as familiar with potential for a helicopter incident. According to Sgt. 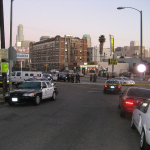 Jorge Gonzalez of the LAPD, a collision between a drone and helicopter is very dangerous. “It is very hazardous,” LAPD pilot Sgt. Jorge Gonzalez said. “It could kill everybody onboard the aircraft and anybody you hit on the ground. These aircrafts are just under 5,000 pounds and they can carry up to 143 gallons of jet fuel. While the article refers to the pilot as a “hobby camera operator,” I do find it interesting he was flying a DJI Inspire 1. That craft is a little pricier than the more common, and what I would consider to be hobbyist’s device, the DJI Phantom drone. Hollywood, California is in Southern California, just like Drone Universities. Our headquarters is actually just South, in La Jolla, California. If you’d like to learn how to safely and legally operate your drone, then consider enrolling in a reputable drone college like Drone Universities. We offer courses on a rotating schedule at locations throughout the United States and at our brand new Section 333 Exempt Drone Training facility in the California’s Central Valley. 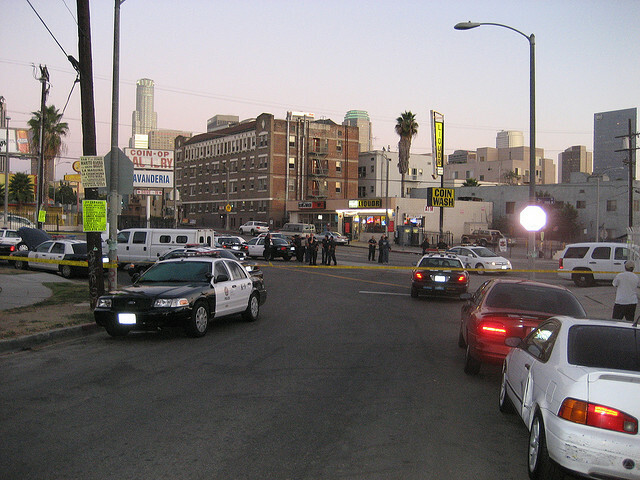 The Los Angeles Police Department (LAPD), officially the City of Los Angeles Police Department, is the law enforcement agency of Los Angeles, California. With 9,843 officers and 2,773 civilian staff, it is the third-largest municipal police department in the United States, after the New York City Police Department and the Chicago Police Department. The department serves an area of 498 square miles (1,290 km2) and a population of 3,884,307 people.